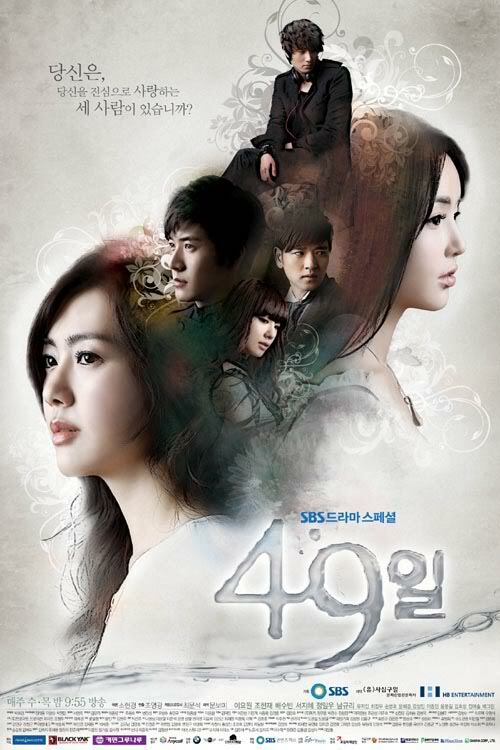 One of the best Korean dramas in 2011! One of the best dramas in 2011! This movie is a fantasy take on what happens to people's souls after they pass away. In this movie, it is related to the 49 days of the Buddhist death after life before being rebirthing. Now, I am no Buddhist, but anyways, just to give you some background to the movie. The story is basically about a young and pretty well to do woman, Shin Ji Hyun who gets involved in a car accident and dies......her body remains in the hospital bed, but her spirit leaves, and meets The Scheduler, cutely acted by Jung Il Woo. Jung Ill Woo & Shin Ji Hyun. Her task, should she choose to accept it, is to collect three tear drops, in a glass pendant within 49 days of three persons who genuinely love and grieve for her, on the condition that they are not her family members. In order to do this, The Scheduler allows her to borrow the body of Yi Kyung, a part-time employee at a convenience store. Should she be successful, she would regain rebirth and stay in her own body. So is she successful or not? Along the way to collecting her three teardrops, she learns more about herself as she was still living, who her real friends, and helps other people along the way. This Korean drama has a good script, and story line, and makes you ponder on your own life and how others will view you. The theme of this story is: Make the Best of your life as you only have one life! I watched this when I was still living in Sydney. I borrowed it from my housemate, coz she recommended it. It really has a good storyline and good acting from the main characters played by Lee Yo Won and Jo Hyun Jae. Then I recommended it to my Korean mates who were also living in Sydney, and they ended up watching it as well. LOL.